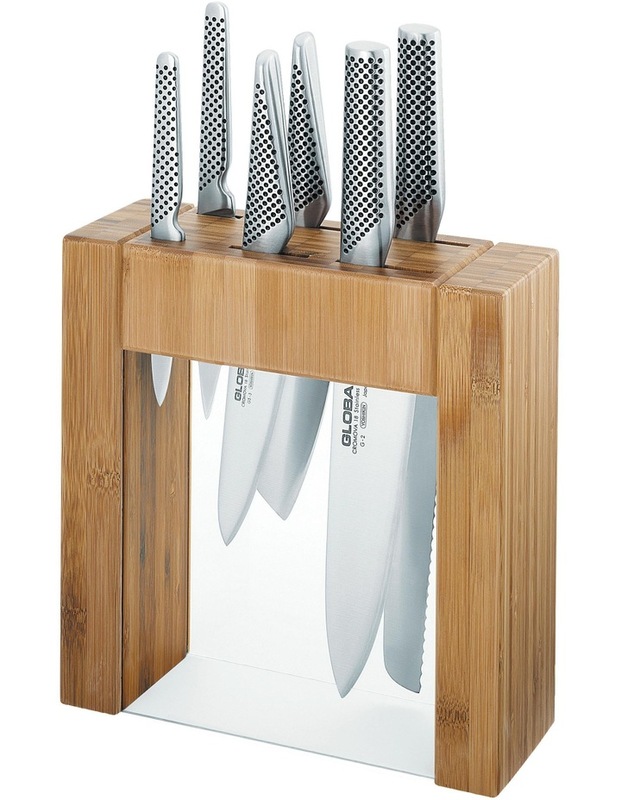 Sometimes a chef is only as good as their knife, so why not try the GLOBAL Ikasu Knife Block 6 Piece set? Each knife is made from cromova 18 high carbon stainless steel. Through whatever meal you create these knives will remain razor sharp. Whether you're slicing through a solid as a rock pumpkin or meticulously preparing fruits for garnishes these knives will get the job done. Resistant to rust, stains, and corrosion, you'll be proud to put these out on display in the kitchen.